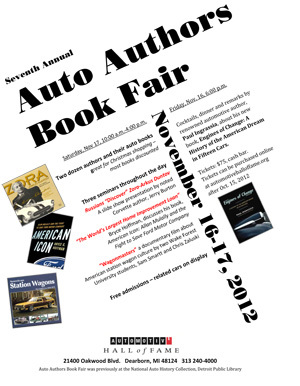 NOV 2012 -- Wagonmasters will be screened Saturday Nov. 17 as part of the annual Auto Authors Book Fair at the Automotive Hall of Fame in Dearborn, Michigan. Admissions is free to the Saturday book fair. Visit the Automotive Hall of Fame website for additional details or to purchase tickets for the Friday evening preview party. Or call (313) 240-4000. 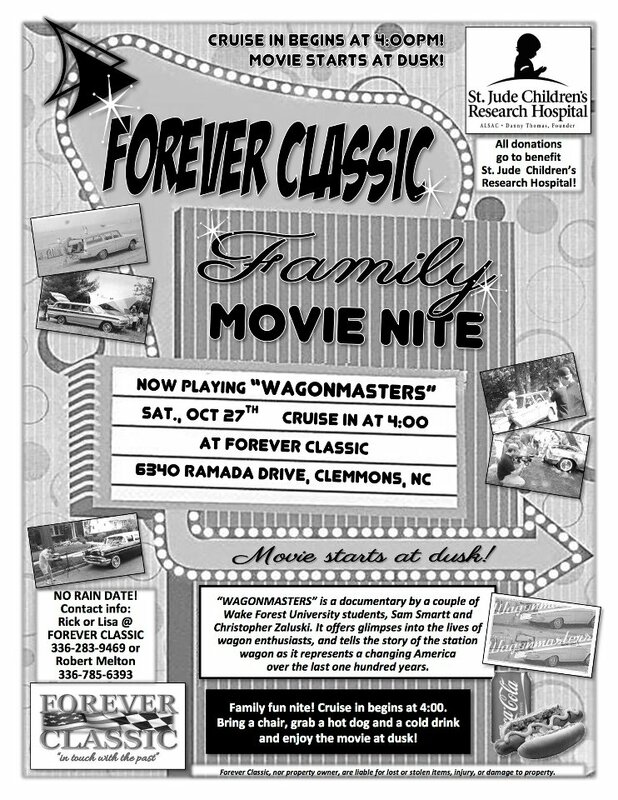 OCT 2012 -- Wagonmasters will be screened Saturday Oct. 27 at dusk as part of the Forever Classic Family Movie Night. The screening will be held as a drive-in movie screening. A classic car cruise-in will begin at 4 p.m. at Forever Classic (6340 Ramada Drive, Clemmons, N.C.). All donations from the event will benefit St. Jude's Children's Research Hospital. 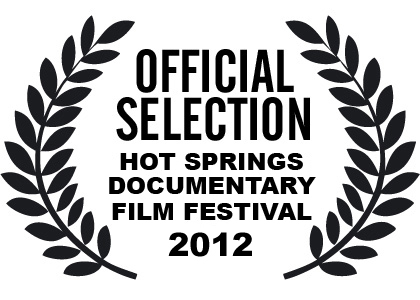 OCT 2012 -- Wagonmasters will be screened Saturday Oct. 13 at 10 a.m. as the opening film in the 2012 Hot Springs Documentary Film Festival in Hot Springs, Arkansas. SEPT 2012 -- Wagonmasters will be screened Saturday Sept. 15 and Sunday Sept. 16 in Winston-Salem, N.C. as part of the film's Fall 2012 rollout tour. JULY 2012 -- Wagonmasters will be shown July 28 at the Concours d'Elegance at St. John's as part of a "works-in-progress" screening. The Concours d'Elegance is a car show that only showcases rare and unique automobiles, and this year's featured category is the "Jet-Age Station Wagon." "Screening Wagonmasters at such a prestigious auto show is certainly an honor," said Chris Zaluski, the film's co-director. "Also, we think that the film fits perfectly with this year's theme of Jet-Age wagons." Along with Sam Smartt, the duo has been working on the film for nearly a year and a half and is hoping to screen the film at various venues during the upcoming Fall months. The screening is sponsored by Hagerty Classic Car Insurance.